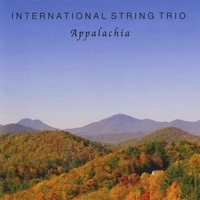 The inspiration for this CD originated from music written about the Appalachian Mountains. In addition, popular pieces from several other music traditions have been included to create a well rounded and multi cultural musical experience. "Time to Say Goodbye", Tango from "Scent of a Woman" and "Ashokan Farewell" - from the Ken Burns "Civil War" documentary - are a few featured on "Appalachia". It also includes one original composition written by Slava Tolstoy (Appalachian Waltz) and some of the most beautiful tunes from the Jewish tradition (Erev Shel Shoshanim, Jerusalem of Gold and Shalom Aleichem Waltz. To hear samples click on Music. 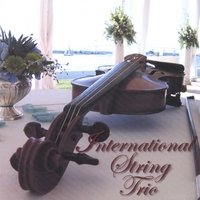 This first CD by the International String Trio is a compilation of tunes ranging in styles including Classical, Jazz, Russian, Irish and Italian Folk, Gypsy Jazz, Bluegrass, Latin, Klezmer and Holiday Music its all here, on one album! Listening to 'Music From all Over The World' is a great way to get acquainted with the sound and style of the International String Trio. To hear samples click on Buy Now, then click on the song that you would like to hear.